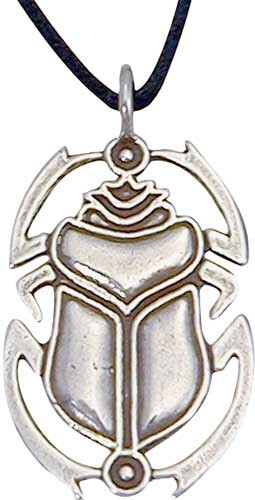 The most popular Egyptian scarab pendant / amulet for over 2000 years! Originating in Egypt, the scarab was a symbol of new life and resurrection. Cord not included with the scarab pendant. Dimensions of the Egyptian pendant: 1-3/8"H x 7/8"W.